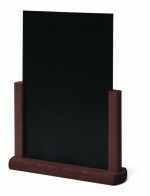 DL to A4 size freestanding menu holders. 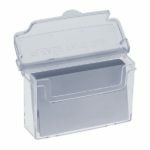 Hinged lid to protect your leaflets. 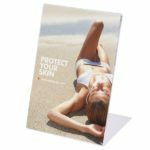 4 sizes available. 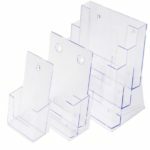 Packs of 10 acrylic menu holders. 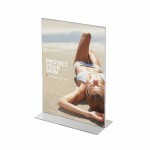 5 sizes available. 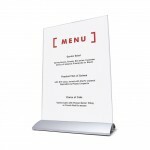 Packs of 10 aluminium menu holders. 4 sizes available. 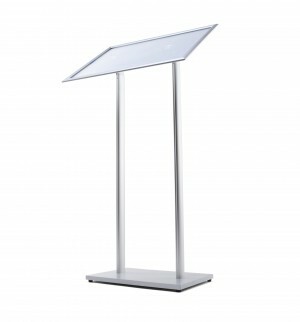 Small and lightweight, to compliment any table with style. 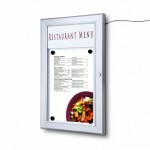 Secure your menu outdoors. Lit option available. 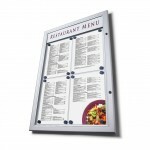 Choose for a professional looking menu sign. 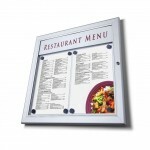 Sign Holders are great to use in a restaurant or event environment to display changeable information. 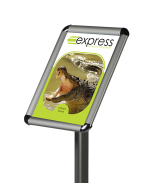 With a range of options available, we’re sure to have a sign holder that’s right for you!